Food security is a challenge for communities in Zululand and as a responsible corporate citizen RBCT has resolved to focus on agriculture as the platform to eradicate poverty. The emphasis is on communities doing things for themselves through communal gardens. We do not wish to see a child go to sleep hungry. Many children live in homes where no-one is employed and the quality of their lives is impacted. For the past few years, we partnered with the Department of Agriculture in supporting families to start their own vegetable gardens. Home owners were trained on how to start and manage a home garden. On completion of the training, they were each given the necessary tools, equipment, and seeds to start their home gardens. Trees for Life, a partnership between RBCT and Wildlands Conservation Trust, enables ‘treepreneurs’ to earn money from the growth and sale of indigenous trees to help support their families and foster awareness of environmental issues among children. Each year RBCT is a catalyst to many ‘treepreneurs’to enable them to feed their families, buy school uniforms, receive bicycles and basic building materials for their homes. This is achieved through the treepreneurs growing more indigenous trees and exchanging these for items that they need. The project also provides awareness to communities about the environment. The young treepreneurs receive basic training and the initial resources required to grow indigenous trees. 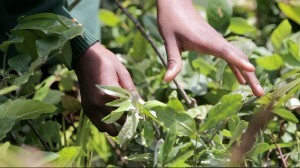 They then collect seeds from their local area and propagate them, nurturing the trees until they are large enough to be sold. 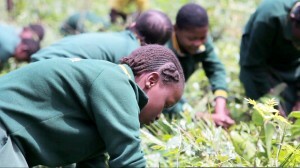 Wildlands Conservation Trust buys the trees back from the learners and sells them to various greening projects around the province. The young entrepreneurs barter the trees for a variety of goods while fostering awareness of environmental issues among children at a young age.